Government, with the aim of digitalizing India, has rolled out a program which involves free WiFi access in top 25 cities. This free WiFi in India program will start in selected cities whose population is more than 10 lakhs. The digital India program has to be accomplished within June 2015. 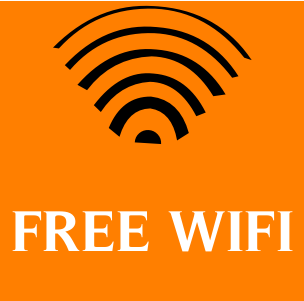 Cities to get free WiFi do not involve all the cities of India. Previously they planned to provide free WiFi accesses to all the cities of India whose population is exceeding 1 million and the various tourist destinations. But this concept was not feasible for the Indian Government. So they initially started the project of placing free WiFi network in top 25 cities of India. The initiative to provide free WiFi in India is taken by three or four service providers who will work under the same roof. This is done just to complete the project within the deadline of June 2015. The telecom firms who are selected to create free Wifi network in the cities of India will get three months to complete the project. The telecom companies will receive full support from the Indian Government to put free WiFi in India. Permission from the local authorities of the respective cities has to be taken before starting the project. This task will be conducted by the Government. Government will clear permission from the local authorities of the 25 major cities. Indian Government has also decided to set up free Wifi network at 25 selected archeological monuments. This will definitely benefit the tourists who are always in need of internet access for various reasons. This entire project will involve huge amount of time for completion. But on the other hand Government has rolled-out the notice of completing the task by June 2015. Time allotted is very less for successful completion of the project. However, we expect that at least the project gets accomplished by our Government. This project will not only provide advantage to local people but mostly to the tourists who come from a separate country and want to have complete connectivity with their family through Internet.